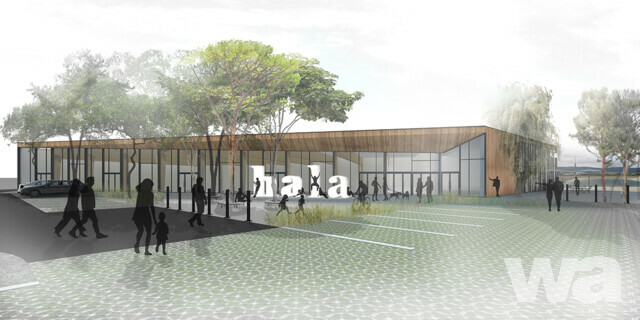 Subject matter of the competition is architecture and spatial design of a multipurpose sports hall, including facilities and urbanistic design of the respective area including the car park belonging to the designed building. The sports hall is located in the Alviano sports facility (site no. 189/21, 189/6,189/5, 189/4, 189/18,189/3, 189/28, 189/27). Design of reorganization of existing sports grounds in the area – winter ice-rink, changing-rooms building, and placement of 110 parking lots is expected to be part of the design. The buildings „senior house“ and „pizzeria“ should remain. According to the General City Plan of Bratislava from 2007 the admissible land use of the solved area is „sports and leisure“ function, whereby regulations of intensity of land use are not strictly given. Requirements: 10 sportsmen changing rooms (8 for 15 people, 2 for 10 people), tribune accommodating approximately 500 viewers in accordance with STN (Slovak Technical Norms), entrance hall, buffet, appropriate facilities in accordance with STN, sound distribution room, storage spaces for sports utensils 80-100m2, changing rooms and sanitary facilities for visitors in accordance with STN, housekeeper room, cashier room, technical equipment room. - Location is accessible from Rybničná St., in winter the area provides ice-rink activities, in summer it provides handball, volleyball and beach volleyball courts, BMX cross track (not a part of the solved area), changing rooms. Year-round open is the Alviano pizzeria and senior center Amico on the border of the solved area. - Spatial arrangement of the area will be subject of urbanistic design. 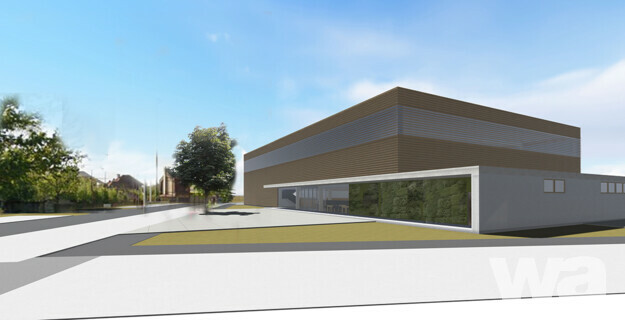 We require relocating existing sports courts into the new sports hall, locating an ice-rink in the area, possibility of relocating existing changing rooms into the new sports hall. Concerning dendrology, it is ideal to preserve all woody species located in the area if the design allows so. If not it is necessary to present the location of replacement planting. The existing approximately 150m2 pizzeria Alviano is located on the first floor of a building from 1993 intended to remain. It is a building of a former fire station, under the pizzeria there is technical equipment storage and winter ice-rink technology room and economic administration of the city district room of approximately 220m2. It is possible to incorporate the mentioned building into the future sports hall or eventually its removal and placement of a restaurant and storage rooms within the new sports hall (in that case, they should be located on the ground floor and contain an exterior terrace). The Amico senior center for approximately 15 disabled citizens is located in a one-story building with 2 adjacent parking places at this moment. The competition design should provide enough parking possibilities within the sports hall car park, there are no supplementary parking lots needed for the senior house visitors. The building has a terrace facing the opposite side, excluded from the solved area. There are no plans to design it in any other way, it should remain unchanged. III.1) Podmienky účastiIII.1.10) Kritériá na výber uchádzačov:III.2) Podmienky týkajúce sa zákazkyIII.2.1) Informácie o konkrétnej profesiiÚčasť je vyhradená pre konkrétnu profesiu: ánoUveďte profesiu: Autorizovaný architekt podľa §4 alebo stavebný inžinier podľa § 5 ods. 1) písm. a) a ods. 2) písm. b)1., 2. zákona č. 138/1992 Zb. o autorizovaných architektoch a autorizovaných stavebných inžinieroch v znení neskorších predpisov.